Themelize.Me - We make quality, responsive websites and templates! Did you know we also offer Bootstrap, design & Drupal services including customisation, installation, bug fixing & more. Check our our services. We make quality, responsive websites and templates! Kickstart your next project with one of our Bootstrap templates or hire us for custom work & services. At Themelize.me we are an experienced group of designers & developers who offer a range of services for one-off projects and ongoing regular contracts. Get in touch about our custom work & services. 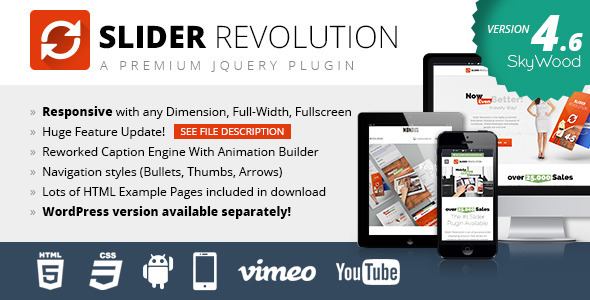 Multipurpose Bootstrap HTML Theme. Best seller! 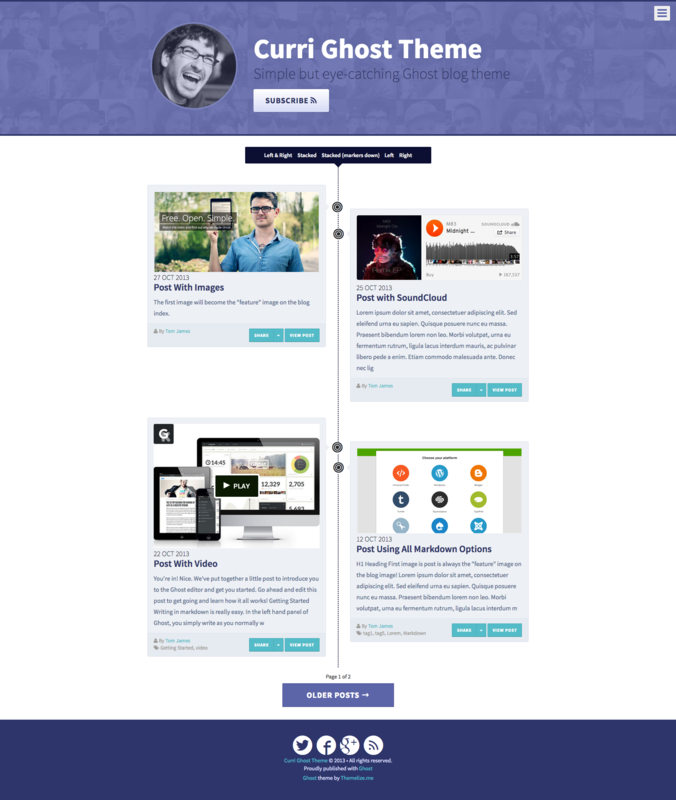 Bootstrap/HTML Curriculum Vitae or resume Theme. 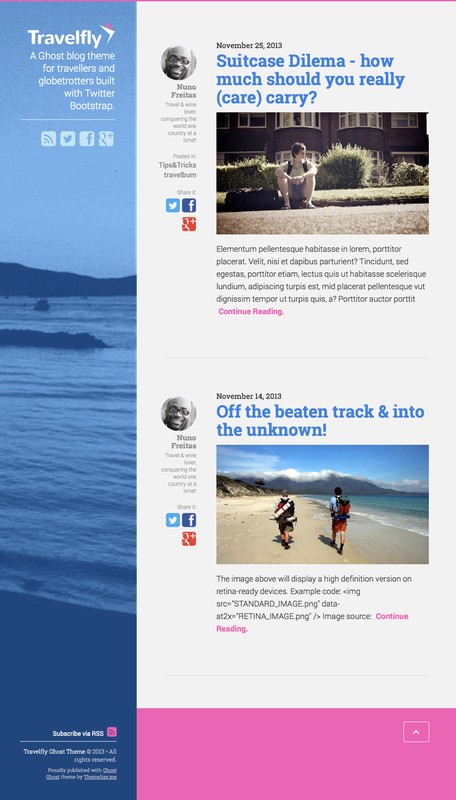 Ghost blog Theme. Award winner! Add stunning slideshows & animations to our themes - Included in our AppStrap theme completely FREE. Add beautiful video backgrounds to our themes & make your site stand out from the crowd. 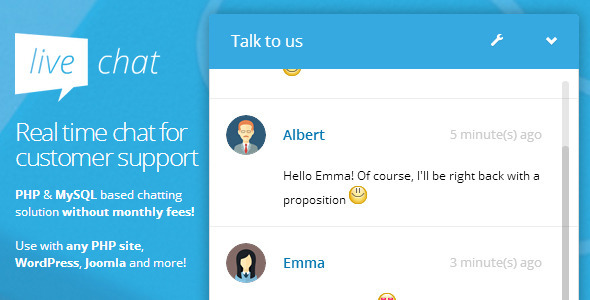 Impress customers with a PHP live chat on your site. AppStrap provides a great base for any marketing website. It's well structured and easy to modify with a number of color options out of the box. The team at Themelize are great to work with and very responsive if you need custom icons or minor adjustments to help you really own the theme! As a software development firm it's always been a challenge to find affordable themes that not only make use of the latest HTML5 and CSS3 techniques, but also look great. Using the themes created by Themelize.me we've been able to shorten our development cycle, save money and at the same time have a theme that will make us stand out from our competitors. Every update you add something new, and the most recent update a Timeline was added to the theme. It is top notch all the way, and you are doing a wonderful job. Keep up the good work! Themelize did a great job with the design services for our new website. Excellent service and support during integration phase as well. Get ahead of the rest! Join our mailing list and be the first to know about theme launch discounts & freebies! !